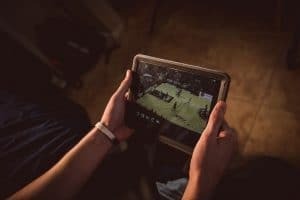 It’s one thing to watch video, but are your players doing it effectively? Hudl gives its top tips on how to teach them. The value of video is undisputed. The best coaches in the country swear by its power not only to scout opponents, but to break down one’s own tendencies and uncover insights about your players and where they perform best. But how do you pass that information along? A coach can have the most advanced video breakdowns around, but if he can’t translate what he’s learned to his athletes it doesn’t do a lick of good. We’re here to help. We talk with great coaches all the time, and through their feedback we’ve generated some tips to help get through to your players. Video sessions longer than 15 or 20 minutes can have diminishing returns. At a certain point, most athletes’ eyes glaze over and their mind wanders to other things. You could be providing valuable information, but if your players aren’t listening and comprehending, it won’t do you any good. So be strategic with the clips you use to get their attention. Find the best teaching moments from your previous games or scout video and make a compilation to share with the team. Athletes have neither the time nor the attention span to make it through an entire game, so pull out the moments they absolutely need to see. It’s best to schedule video sessions before practice so you can immediately put what you’ve watched into action. Say your next opponent runs a 1-3-1 defense – you can show your athletes that video and have them see it in real time against the scout team minutes later. Their chances of retaining what you teach greatly increase. 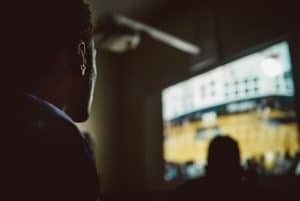 Ask questions both during and after the video session to make sure the players are paying attention and grasping the concepts you’re hitting on. As much as you’d love to supervise every video session with your athletes, it’s simply not possible. You only have a certain amount of time with them each day, so you have to trust them to spend some time with the video on their own. Entrusting teenagers to get the most out of a video session is tricky, but you can help them. Devote part of a preseason practice to video, showing your athletes what to look for when they’re watching. Create playlists of what you want the players to focus on and leave comments or drawings so they know exactly what to look for. In this way, you can still relate valuable information without physically being with them. While it may be effective to assign the amount of video you want your athletes to watch, it’s not necessary. Requiring exact video responsibilities makes it seem like just another piece of homework instead of something the players enjoy. Trust your athletes to watch. You can still monitor how much time they spend on Hudl, and if someone is lacking, then you can give him a nudge to do more. No two players consume video in exactly the same way. Some will dive into the video, aggressively breaking down their own play. Others will view video as a spectator, as if they were watching a college or NBA game. You have to tailor your notes and instructions to fit your players’ tendencies. For the obsessive viewers, remind them not to overanalyze what they’re seeing. You want to avoid paralysis by analysis. For the more casual observers, leave more notes and really point out the things you want to hammer home. Follow up with your athletes, asking them questions about what they saw in the video. Showing faith in your athletes to watch on their own will build trust between you both. Now that you know how to engage your athletes with video, it’s time to get started. Find out more about Hudl basketball here.